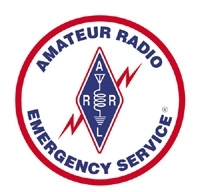 An Amateur Radio Emergency Service (ARES) net is being established in Northwest Florida. The net will be on Thursdays at 1900 CST except for the second Thursday of the month. The net will be on the AC4QB repeater 145.330 pl 100. This will be a directed net run by Mark Cantrell KD4IMA. Note the first net will be on 12/4/2018 at 1900 CST. After that, it will be on Thursdays. This info was provided by the Bay County Emergency Coordinator Matt Kenedy W9NDN. If you have health and welfare information about a club member contact Jack Crusan N1HQ.